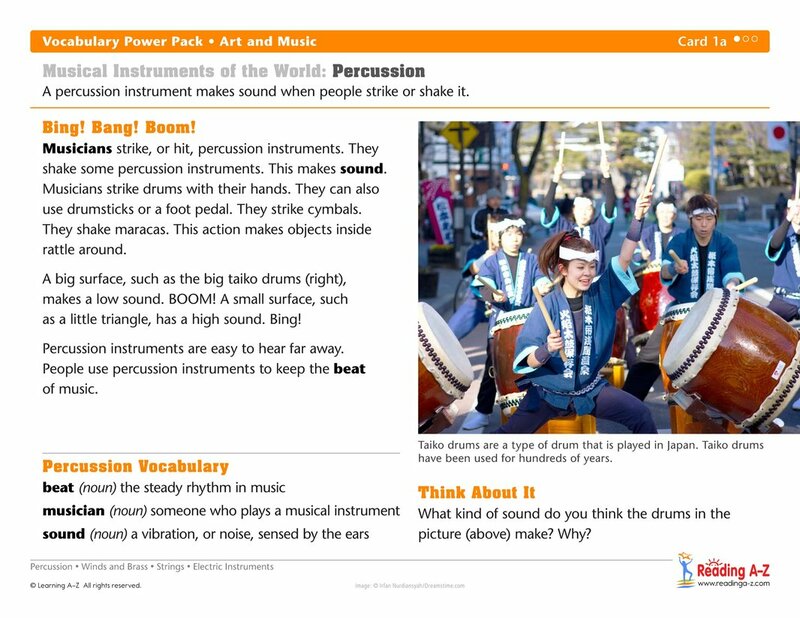 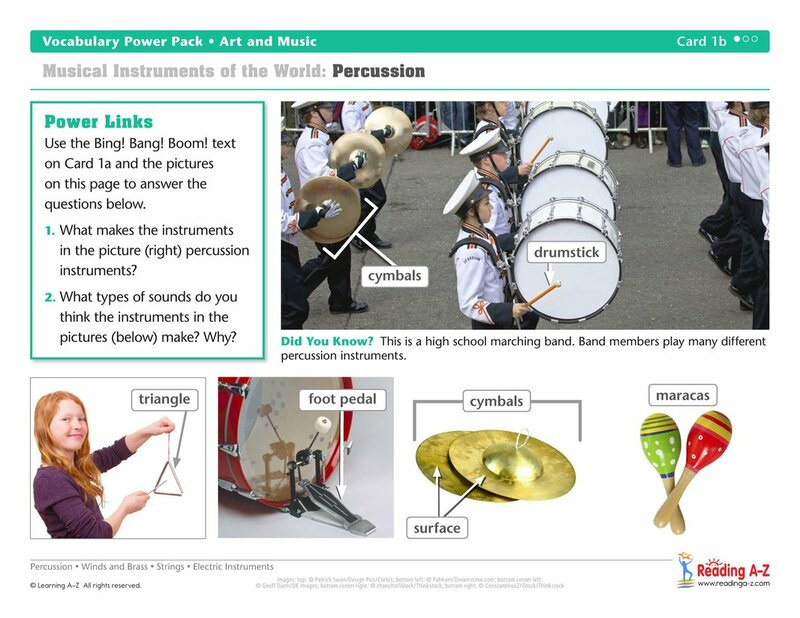 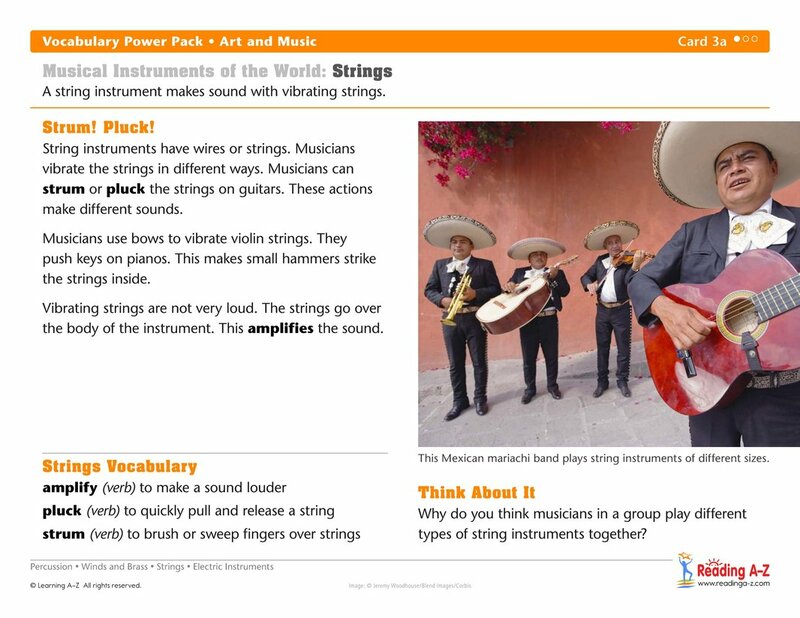 Students will learn academic and content-area vocabulary related to how musical instruments make sound by reading, speaking, listening, and writing about percussion, winds and brass, strings, and electronic instruments. 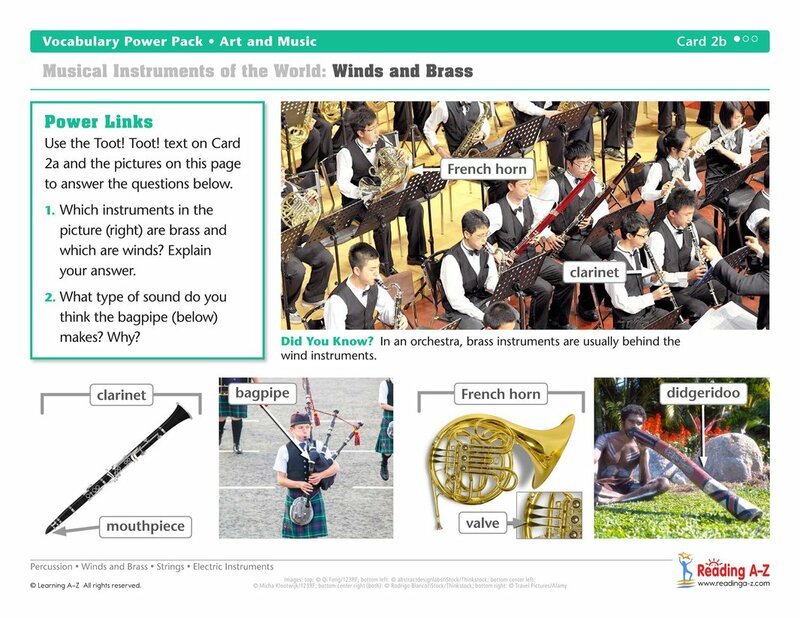 High-interest text with engaging photographs provides structured and scaffolded support for all language levels. 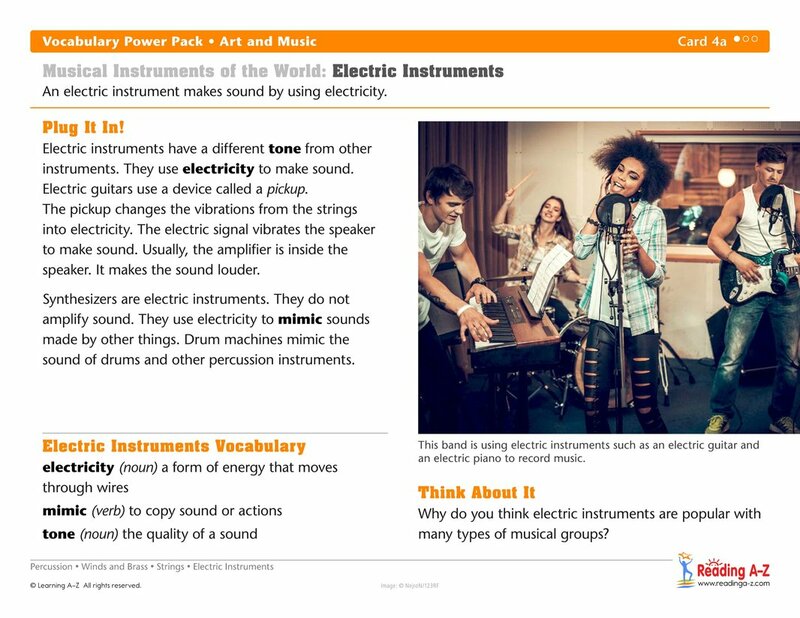 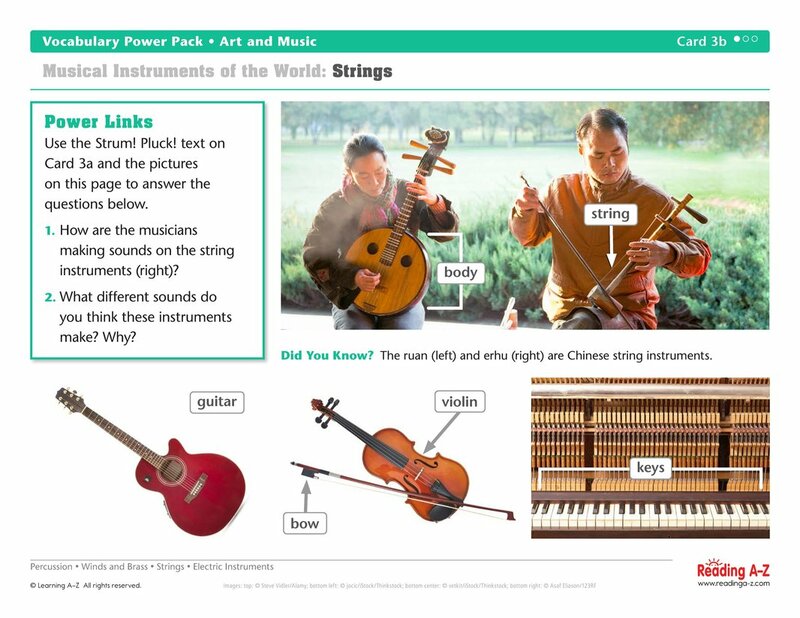 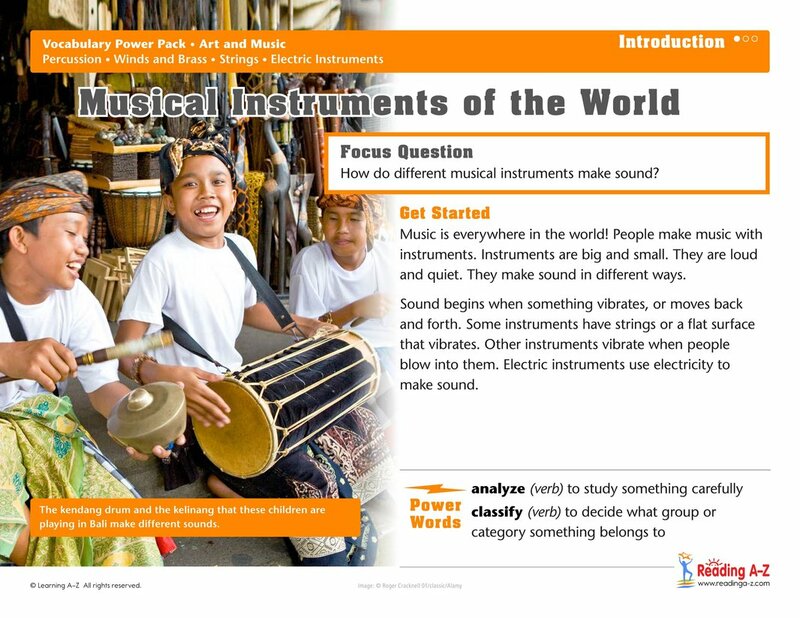 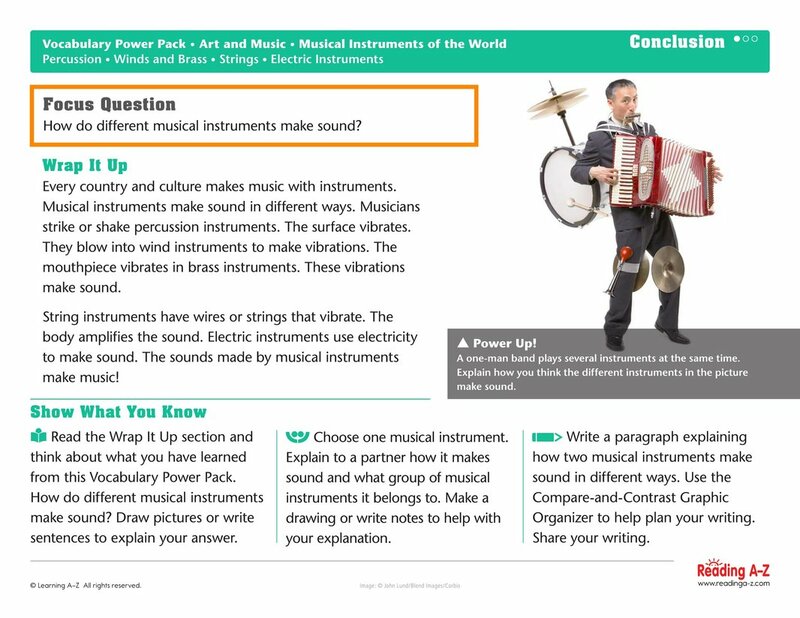 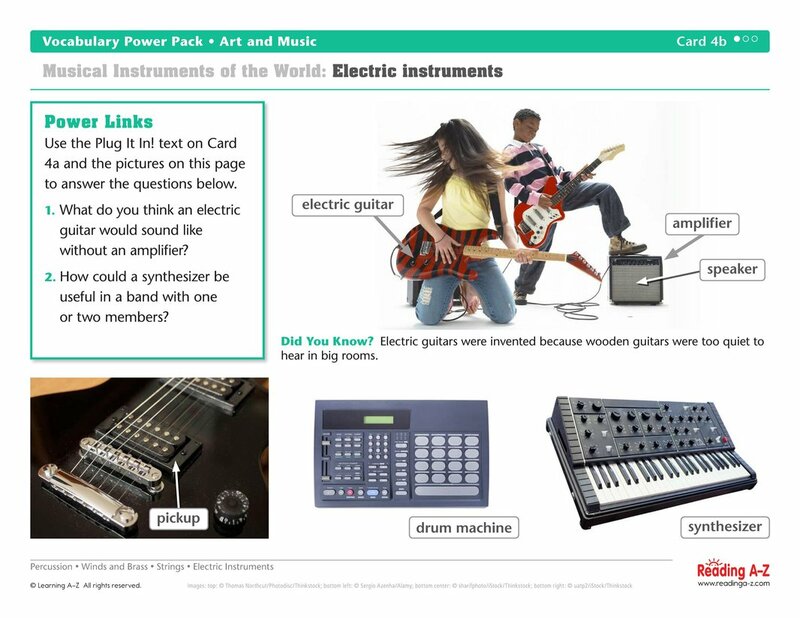 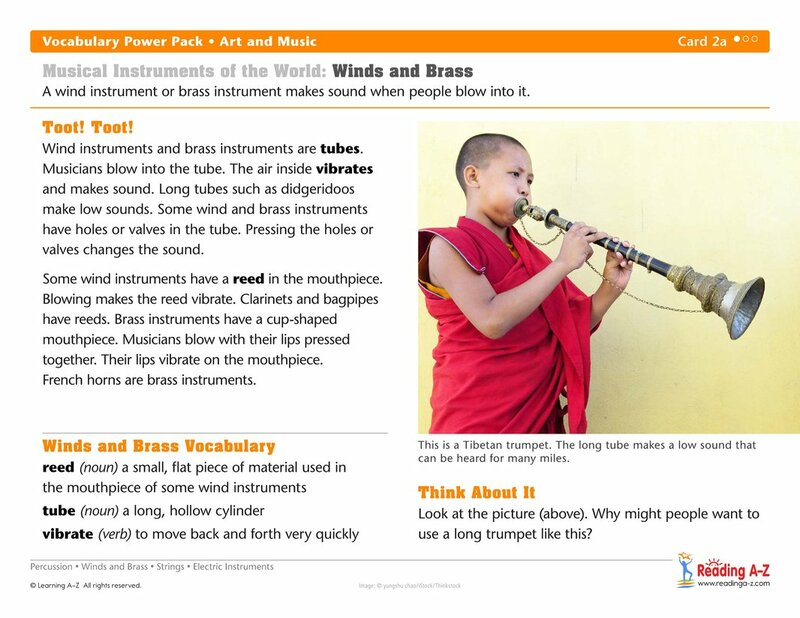 Students will read closely, think critically, and cite evidence to answer the focus question: How do different musical instruments make sound?